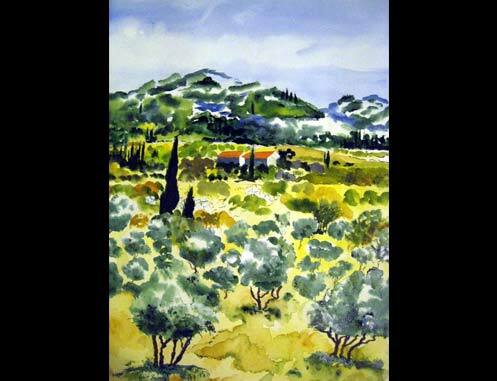 Olive trees with their amazing shades were an interesting challenge to paint. Watercolour on 400 gsm paper. Size 18" height. You have captured beautiful light in this painting. I particularly like the vitality and sense of form in those trees, and your limited palette.